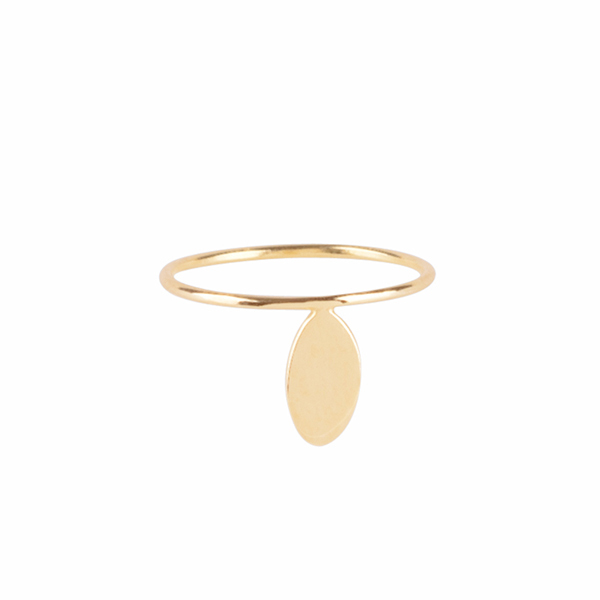 Sterling silver, gold plated ring, featuring a solid oval-drop shaped focal point. Worn alone or stacked with other favorite rings. Please Note: All our pieces are custom made to order and require 5-7 business days for production. note Please Note: All our pieces are custom made to order and require 5-7 business days for production.